A generous sheet of colorful stickers. Sheet is full of treasures from the autumn forest, such as delicious berries and different mushrooms. 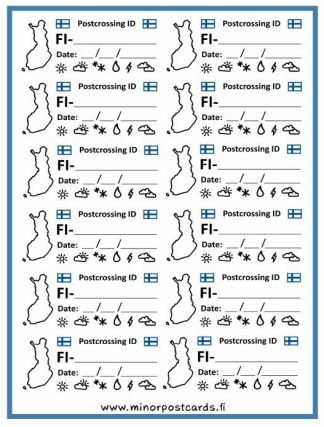 There are 38 stickers on the sheet and those fit well on postcards or envelopes. 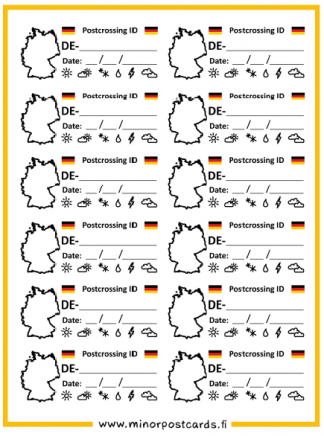 The stickers are printed on a nice glossy material, and the sheet is 9,5 cm x 12,5 cm. 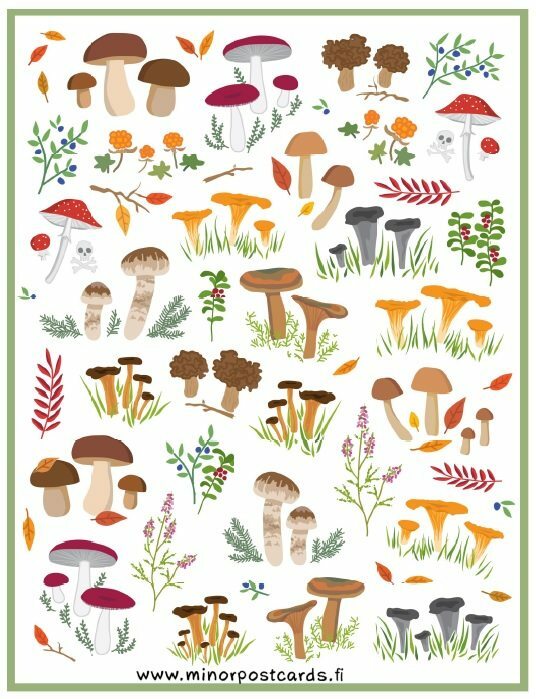 This design can also be found on this matching postcard: Map made of mushrooms.